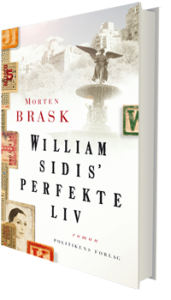 The Los Angeles and New York based movie production company, Ditlev Films, just acquired the options on the novel The perfect Life of William Sidis. The company’s two seasoned executive producers Christian Ditlev and Dan Hoffmann are now looking for collaborations in the U.S film industry. The options acquired are for both motion pictures, TV and TV-serialisation. Dan Hofmann and Christian Ditlev have collaborated with companies like Focus Features, Universal Pictures, New Line Cinema, Paramount Pictures and Zentropa.